So it seems that Essie has once again made a sell-out shade! After school boy blazer is the new kid on the block, and it’s part of the For the Twill of it Fall collection. There are 6 shades in total, and all 5/6 are gorgeous Autumn shades (not convinced on the red jelly!). The collection was based on cosy sweaters… what’s not to love? 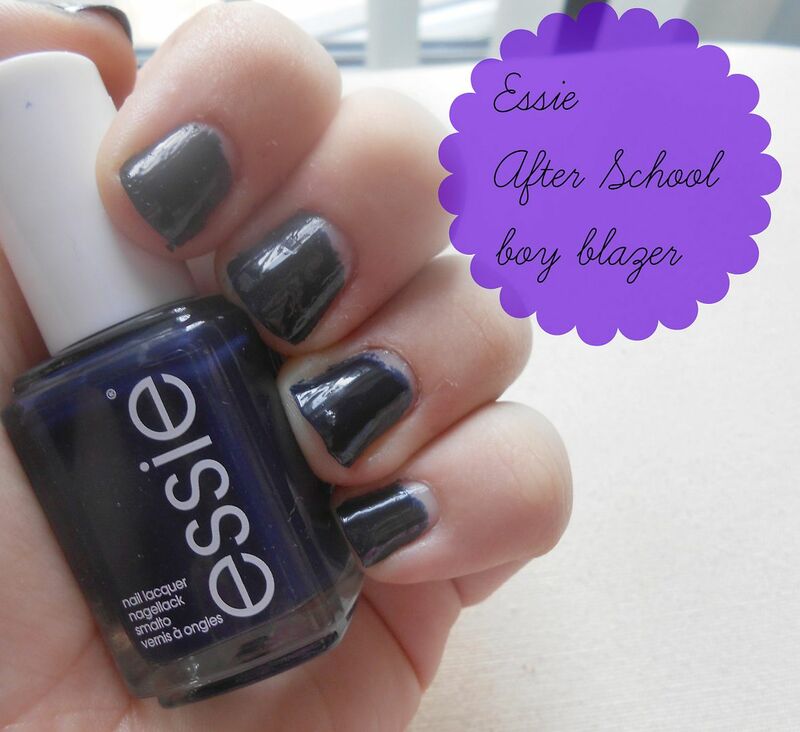 After school boy blazer is a deep, inky creamy navy. In some lights it looks dark and almost black, but not quite. If you love navy polishes (like me! ), this is a must-have. It applies almost evenly in one coat, but I used 2 for maximum opacity and general all-round glossy goodness. This was on my nails all of last week, I love it! I think it’s gonna look especially gorgeous with some gold detailing. Remember the gold glitter from the Christmas collection last year? Yeah! That. Mm. Will you be rocking the navy nail this Autumn? HQ hair – link!